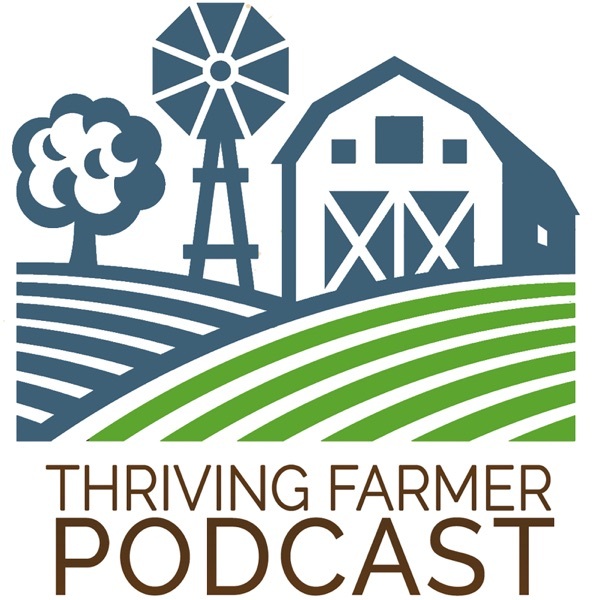 The Thriving Farmer Podcast | Listen Free on Castbox. In This Episode: >> The differences between Good Agricultural Practices (GAP) and the Food Safety Modernization Act (FSMA) >> An explanation of FMSA exemptions >> A discussion of common food safety myths >> How systems and record-keeping are the foundation of food safety plans Quotes from the Episode: "Food safety is a constant improvement process...it's about thinking intentionally about produce safety and adopting good practices to try to minimize risk" "You can't clean what you can't see and you can't sanitize what you can't clean" About the Guests: Andy Chamberlin grew up on his families Vegetable Farm in Underhill, Vermont. After going to school for mechanical engineering, and entering the workforce he discovered he needed to be out and about, making a difference in peoples lives, and the passion for farming never wilted away. Now, as an Ag Engineer for UVM Extension, he gets to work with fruit and vegetable farms in Vermont, and the North East educating farmers on produce safety and post-harvest handling, trying to improve the lives and business of the people that he works with. Chris Callahan is the Extension Associate Professor of Agricultural Engineering at the University of Vermont. His work focuses on the application of the engineering practice to food systems. Specific engagement is with food producers, processors, and distributors to improve efficiency, quality, safety and cost control through integration of technology, systems integration and process controls Hans Estrin is a Produce Safety Specialist for UVM Extension. He co-develop UVM’s Practical Produce Safety Program in 2010, and since 2014, has developed and coordinate the Community Accreditation for Produce Safety (CAPS) with the Vermont Vegetable and Berry Growers Association. As an On Farm Readiness Review (OFRR) lead for Extension, Hans provides on-farm technical support to help Vermont growers comply with FSMA and meet market expectations. Hans is an AFDO certified PSR trainer in produce safety, and regularly co-leads Produce Safety Alliance (PSA) Grower training courses. Hans also coordinates UVM Extension’s Post Harvest Team, focused on a team approach to integrating efficiency, profitability and food safety on Vermont Produce Farms. Hans further supports the development of local produce markets and businesses; He co-founded the Windham Farm and Food Network (now Food Connects), helped launch VT Dinners and Manadnock Menus, and has supported the start-up other Vermont Food Hubs. In his former career, Hans taught high school science for decades, around the globe, and worked on several produce farms. In This Episode: >> Overview of small scale organic farming in New Zealand and how they focus on wholesale marketing streams >> How they balance the demands of their 3-acre vegetable operation while raising 3 children >> Their productions methods using no-till, deep organic, and permaculture principles >> Rachel's long-term perspective of hiring a team About the Guest: Rachel Yeats manages Six Toed Fox Organics, a newly established 3-acre certified organic market garden in the Bay of Plenty, New Zealand, growing a diverse range of crops & cut flowers for direct retail at the farmers market & through an online store, and specializing in greens and herbs for wholesale. Rachel is passionate about lean and holistic management, and applying ecological and equitable practices on her farm to ensure a sustainable, resilient, triple bottom line output in a four-season context. Six Toed Fox Organics has quickly become a leader in the NZ organic greens market, and Rachel emphasizes the importance of building relationships with customers at both a personal and commercial level, accompanied by a quality product; as well as attracting and retaining a passionate crew to build a successful and skilled team with longevity. Rachel uses a permaculture lens to design and manage the farm and its team - you won't find any herb spirals or swales, but everything is carefully planned and monitored with a whole systems approach, including the finances; starting with an abundance mindset of "we can, if..." to find creative solutions to every problem. In This Episode: >> Ted's preferred definition of sustainable agriculture encompasses soil health, nutrient density, and financial viability >> Ted's Monday morning routine and how he stays organized and productive >> How systems and consistency are key to sound finances. The #1 reason why farms fail is lack of profit >> The biggest mistake he sees beginning farmers make is jumping in without a financial plan and not learning on someone's else's dime Quotes from the Episode: "When you do something, leave it better than you found it" "We don't care how much profit you make, we care you know how you make a profit" About the Guest: He has lived in Bala Cynwyd, just west of Philadelphia, since 1997. In his spare time he shares a fleet of 1950’s era tractors and equipment with Philadelphia urban farms, cuts and mills his own lumber for live-edge furniture, fly fishes, builds bamboo fly rods, and participates along with his wife (as much as possible) in the lives of his three daughters (18, 22, 24). In This Episode: >> How Tom got started seed saving and grew his hobby into a business >> How growing seeds is different from market gardening >> How he empowers employees with responsibility and ownership >> Tom's thoughts about the state of the organic seed industry About the Guest: Tom Stearns began gardening at an early age at his family home in Connecticut. Prior to completing a degree in Sustainable Agriculture from Prescott College in Arizona, he began saving seeds. A hobby was born in 1996 in Vermont when Tom began sharing these seeds with others through a small flyer. High Mowing Organic Seeds has since expanded into one of the leading organic seed companies in the U.S., supplying home gardeners, commercial growers and retailers. Tom’s vision has always been to create a company that would help support the re-building of healthy food systems, first in Vermont, followed by the rest of the U.S. He has also taught numerous workshops since 1996 on many topics such as agricultural education, economics, community supported agriculture, genetic engineering, plant breeding, local food systems, sustainable business investing and more. His informal, personal style, ability to explain complex issues and infectious enthusiasm makes him a popular and inspiring speaker. In addition, he has served on the board of several agricultural organizations including NOFA-VT, The Center for an Agricultural Economy, and Sterling College. He lives on 50 acres in Vermont with his wife Heather and their two girls, Ruby and Cora. What you'll hear in this episode: Dan presents a paradigm shift in how to think about managing soil and growing crops How the nutrient density of our food has decreased over time and how human health is related to soil health Why microbes and remineralization are key to having healthy soil How he and collaborators around the world are working to develop a consumer device to test nutrient density at the point of purchase Why he amends with rock dust and seawater, but not compost About the Guest: Dan has been an organic farmer for more than 30 years, and is the founder and executive director of the Bionutrient Food Association, an 8-year old non-profit educational organization whose mission is to “increase quality in the food supply”. Known as one of the leading proponents of “nutrient density”, Dan has worked to demonstrate the connections between plant health, soil health, carbon sequestration, crop nutritional value, flavor, and human health. What you'll hear in this episode: How being financially literate has been an asset to getting their dairy farm off the ground Ben's process of prioritizing and being most productive Which mentors have shaped their journey and influenced their production and mindset How laser focus on one thing enabled them to rapidly grow their herd share Quotes: "We are very intentional about developing a relationship with our customers" "You have to be at peace with the fact that you're not going to be able to get everything done" About the Guest: Ben Beichler and his wife Kristen own and operate Creambrook Farm in Middlebrook Va. The farm specializes in direct marketing 100% grass-fed raw milk herd shares that are lab tested. Ben is working on developing a completely outdoor system for their Jersey cows where they graze during the summer and enjoy stored grass during the winter. They market to their members primarily through social media and other digital methods. When not working on the farm, Ben can be found hunting groundhogs, fishing, and scheming the next big farm improvement. In This Episode: >> How Dogpatch Urban Gardens is highly diversified despite only growing on a 1/4 acre >> Why customer experience is a key focus for them >> Why Jenny, a mom of 3 kids, left a teaching job to start an urban farm 2 blocks from their house >> How eating right and taking care of herself makes her a more happy and productive person About the Guest: Jenny Quiner runs Dogpatch Urban Gardens (DUG), an urban farm located in Des Moines, Iowa. Dogpatch Urban Gardens property is on one acre of land in a residential area, and roughly 1/4 of that acre is under cultivation. The farm has been in operation for three seasons and specializes in growing annual vegetable crops focusing on salad oriented crops. All crops are grown using organic methods. In this episode we lay the foundation for what we hope will be something of great value for farmers all around the world. I, Michael talks about a few reasons for the podcast and what we hope to cover in upcoming episodes. Takeaways from the episode: Our goal is to Inspire, educate, and celebrate farmers around the world. There are several reasons for this podcast. Some of the big ones are: To share the stories of new and experienced farmers around the world. We can learn from every farm out there: new ones can share innovate ways of startup, experienced can share what they have learned from decades in the fields. Even failed farms can share what not to do! To share new ideas, even controversial ones. I feel that the more ideas we listen to, even ones that we don’t think apply or agree with, the more it stretches us. To give you updated industry information, in everything from food safety, to farm finance, to what’s happening in the halls of congress, I hope to keep you abreast of what’s happening in the world of sustainable farming. Great to have this podcast from In the Field Consultants! Looking forward to learning from the guests that are hosted on it.